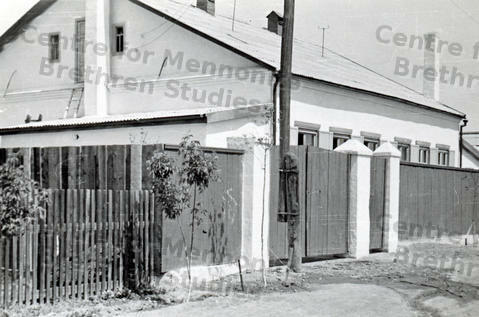 This photo is of the exterior of the Mennonite Brethren Church in Karaganda. A tall wooden fence surrounds the building. The description on the back says that they built this church themselves, the women in the morning and the men in the evening.